I hope this happy face brightens your day! 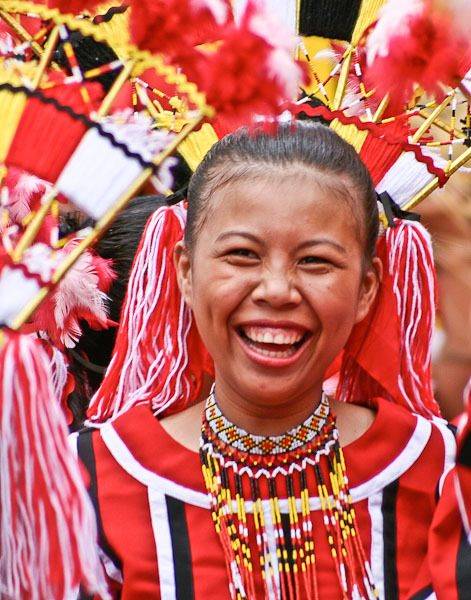 This smile was captured by Wycliffe photographer Janeen Michie at a cultural festival in the Philippines known as Kaamulan. This year’s celebration in the Bukidnon region finished just last Friday. Tribal villagers representing the seven hill tribes of Bukidnon gathered in unity with the local dwellers in town, wearing their intricately woven costumes for a celebration of culture, diversity and traditions. Thank you for your support of minority language communities this week.